It’s been hot here and I don’t enjoy hot, humid weather. I tend to forget San Diego has the best year-round climate in the continental US. I’m like the millionaire who complains when her stocks don’t rise fast enough. It is easy to forget how comparatively fortunate we are. Whether it is health, money, friendships or climate, we don’t want to fall into a pattern of grumbling and make it worse. Let’s not take the good stuff in our lives for granted. Sometimes it helps to see ourselves in relation to others. I don’t like to chortle because someone else is hotter than I am, but when I watch the weather channel it does put my complaints in perspective. Do you ever use comparisons as a basis for gratitude? I do. As a child, I resented the idea of comparing myself to others. At supper, I was supposed to eat all my dinner because of the poor starving Armenians or Chinese etc. It just didn’t seem right that I should have to eat spinach because someone on the other side of the world was hungry. My mother used to tell the story about a person who had no shoes until he met a beggar who had no feet. I wasn’t interested in shoes or feet, I just wanted my dessert. And I wanted it now! These days, comparison is a tool in my bag of gratitude tricks. When I remember to be grateful I don’t live in Arizona, it cools me off as much as an extra shower. I am not a shaman and I don’t do a rain dance so I can’t yet control the weather, but I can control my thinking and my response. Gratitude thinking changes the experience even when things are out of my control. Gratitude trains the mind to be happy. Feeling happy is as welcome as a cool breeze. Believe it or not, it is possible to feel happy in any climate. It is also possible to feel happy before getting everything we want. In fact, it helps us get it. Happiness really is a choice. We are in charge of our thoughts and that puts us in charge of our moods. The key is to manage our minds effectively, no matter what the issue seems to be. Using gratitude to move away from the problem and toward the desired solution puts us in a mental space where we are guided to take new actions. It is perfectly all right to work for new goals and feel happy before you gain them. I used a prayer of gratitude to control my response to the weather this week and it helped me a great deal. It didn’t change the temperature outside but it led me to make some discoveries. A mid-day shower helps. So does setting the fans correctly. I’ve also changed my work schedule so I’m in my air-conditioned office during the hottest part of the day instead of just the early morning. Anyone who follows the teaching of Ernest Holmes has heard the expression, “Change your thinking and change your life.” Followers of Science of Mind read books and take classes to learn how to pray effectively. Affirmative prayers change circumstances and solve problems. So does positive thinking. The key is to focus on the solution rather than the problem. In Centers for Spiritual Living, we learn to use the power of our minds consistently to create positive results. 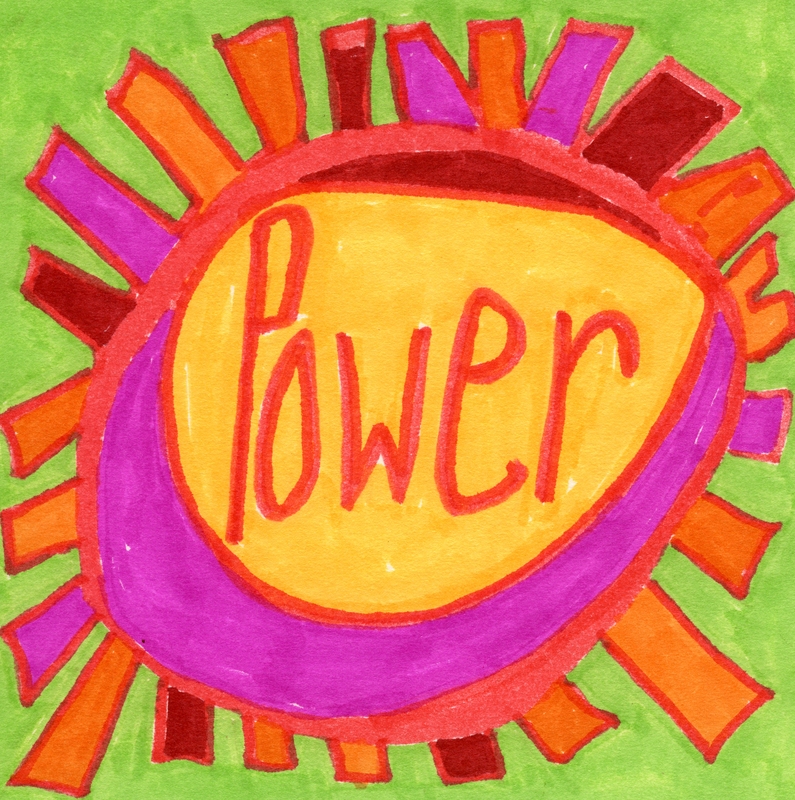 We learn that there is a Power For Good and we can use it. We learn that our individual minds are connected to the One Mind. We learn that we are co-creating our lives. We discover that positive thinking and affirmative prayer can actually bring improved circumstances into our lives because God is Love working through Spiritual Law. The Law of Attraction is always working and our prevailing belief system is creating our experience. One aspect of powerful prayer is to see it so clearly in your mind and feel it so deeply in your heart that you accept it as real. Your prayer then closes with an expression of gratitude for the achieved goal. If you hold onto your belief, God does the work just as quickly as you can accept it. The key is to look at what we want rather than obsess about what might go wrong or what we think is the problem. We cannot afford to be children stamping our feet and saying, “I don’t have what I want!” We need to be believers who are saying “Thank you God!” We need to trust in the power of prayer. Many wonderful things happen when people focus on using spiritual law in their lives. Those who develop a habit of prayer and visualization attract great results because they are using unlimited God-power. Debt can change to wealth. Illness can change to health. Loneliness can change to love. All this comes through the Law of Attraction. I have seen great demonstrations of the power to create new circumstances through consistent prayer and meditation during my years as a student and teacher of Science of Mind. I know that the dedicated student achieves great results. Gratitude helps create dedicated students. So do classes. Classes are the best way to understand the concepts that lead to a consistent and satisfying use of mental power. This is the time of year to think about enrolling in a class at your local center or on-line. I am so grateful that it is now so easy for everyone to find an excellent class in this day and age. When we focus on gratitude and look at desired solutions, rather than the problems, a great many good things happen. Great good can happen even if the condition cannot be changed completely. For example, I may not change the weather but I can accommodate myself to it. New solutions may become apparent. I may even decide to move North. The results of my prayer may not be exactly what I think I want, but I can gratefully celebrate the solution that emerges. If I stamp my feet or whine because I can’t make it snow in September, I’ll be fighting the laws of nature and making myself miserable. Better to distract myself and move on. I can always choose to feel grateful for what I have and the results I get. That attitude will lift my spirits and make things better. No matter how hopeless things look, prayer and positive thinking will create a better, not worse, situation. Stick with gratitude. It is the key to success. Do I believe they are possible with God’s help? Do I have a solid knowledge of affirmative prayer? How might I learn more? In my early experience with the 12-Step programs I often heard the “there by the grace of God go I” phrase. Unfortunately, it seemed too often spoken by someone with an attitude of altitude (ooohhh…I like that…..it just came out! LOL! ), looking down on those whose circumstance they had passed. I finally learned it really was about gratitude and not about judgment. So, yes, I often DO develop my gratitude from circumstances I find worse off than where I am. The pitfall I’ve attempted to avoid that in doing so I do not discount or minimize my own experience, i.e., that someone else is worse off doesn’t make my circumstances and less of a challenge in my own life. By acknowledging both I can move on. Thank you for your insightful comment. I do value your responses. Hey kris! Call me when you can. Maybe Skype didn’t work!